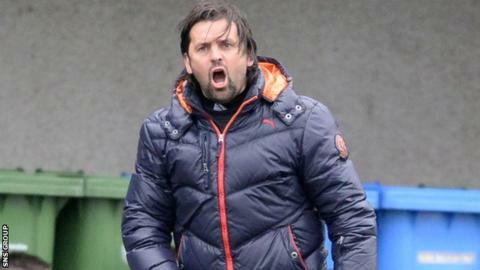 Alloa Athletic have given manager Paul Hartley permission to hold talks with Inverness Caley Thistle. The 37-year-old former Scotland midfielder has won back-to-back promotions, having taken up the post at Recreation Park in May 2011. And the part-time Wasps are currently sitting fifth in the Championship. Caley Thistle, second in the Premiership, are seeking a replacement for Terry Butcher, who left to take over at Hibernian. The Highlanders' chairman Kenny Cameron said last week the club hope to make appointment before Saturday's Scottish Cup tie against Morton. And it is understood Hartley is not the only candidate for the job. Former Scotland manager Craig Levein has been linked with the post, as has ex-Celtic striker Chris Sutton, while John Hughes and Kenny Shiels submitted applications. Hartley counts Hearts, St Johnstone, Celtic and Aberdeen among his former clubs and won 25 caps for Scotland.